How do we stay focused and balanced without becoming overwhelmed? You may name them differently: health (mental and/or physical), wealth, self (ego), business, family/friends, hobbies etc. Prioritize your priorities – select the top 5. Rate all five from 1-10 as to how much of your potential you are presently using. For example, you may rate your Physical Health as your #1 priority, but are only using 5% of your potential needed to get to your goal. 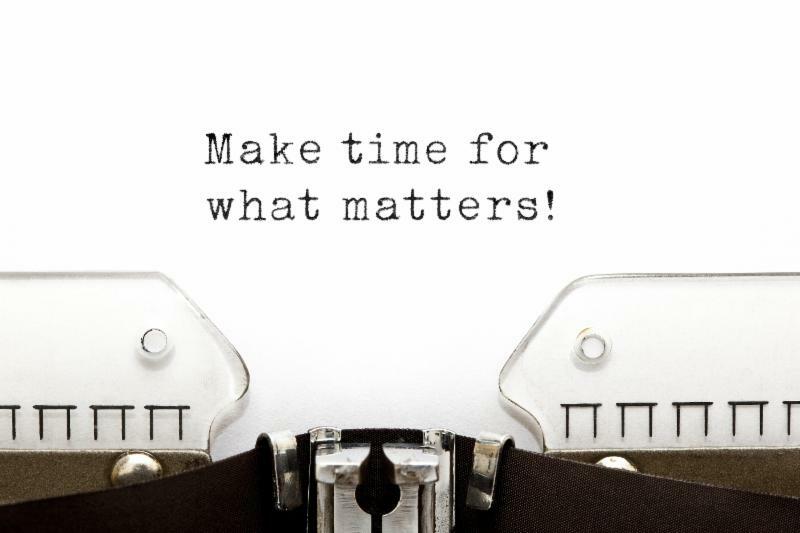 Write down one thing you can do to improve each priority by 10%. For example, under Physical Health – if you are presently running 1 mile, improve it by 10% by running 1.1 miles per day. Taking small steps for BIG results! Mark your success each day on your calendar. For example, if your number one priority is your Physical Health, after you’ve run that 1.1 miles mark #1 on your calendar for the day. Review your calendar after a month and monitor your success. After all, it is YOUR life – LIVE IT TO THE FULLEST POTENTIAL! This entry was posted in Balance, Book Review, Two Minute Tips (Video) and tagged focus, Self-improvement, work life balance. Bookmark the permalink. Petey Parker is a nationally recognized speaker and consultant who delivers core business fundamentals to corporations and non-profits of all sizes. Petey brings an honest perspective as an outside observer, provides strategic insight into challenges facing organizations today, and helps them discover solutions to achieve clarity for tomorrow. Who says they are your raving fans? Petey would love to hear from you!